Dear friends, tomorrow, Friday, September 8 is the Feast of the Nativity of the Blessed Virgin Mary. 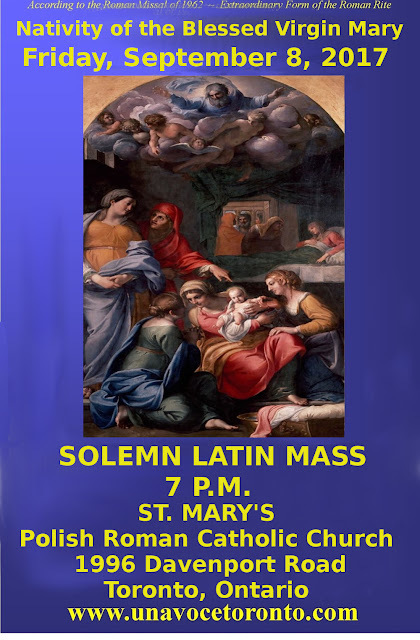 A Solemn Latin Mass will be celebrated at St. Mary's Polish Roman Catholic Church, in the west end of Toronto. 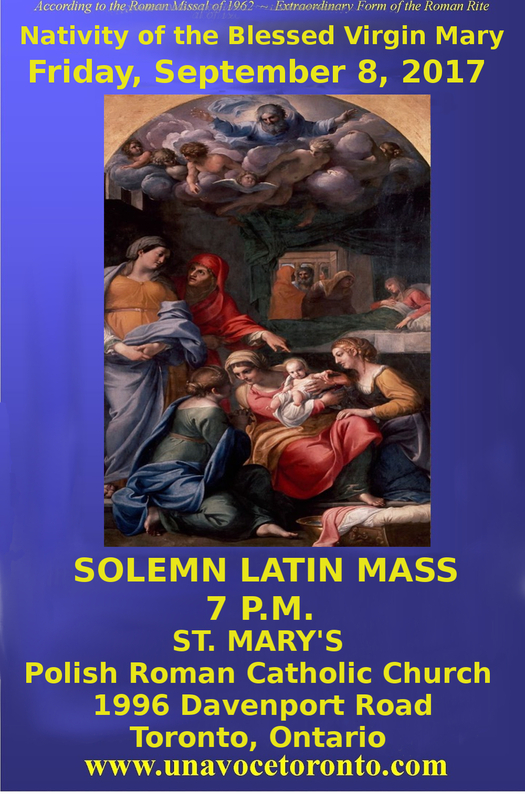 This Feast is also the patronal feast day for St. Mary's Parish. Please attend and bring your family and friends. God bless Fr. Kazimierz and all his parishioners.